Hello! This is one of two giveaways I'm doing this week for Sew Mama Sew's Giveaway Day. 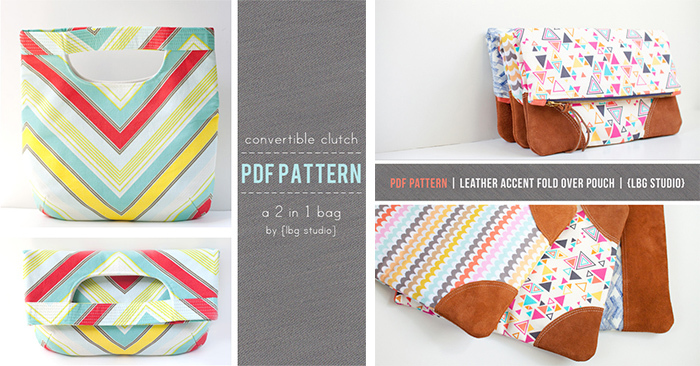 First up is a bundle of 2 pdf sewing patterns: convertible clutch + leather accent fold over pouch. 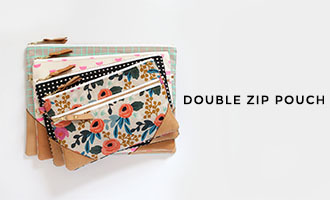 Just in time for some holiday gift sewing! To enter my other giveaway, go here. peppermint bark, hands down! What an awesome giveaway, thanks! oh, and I did like your facebook page too. email is ellynzins(at)gmail(dot)com. number one never wins right? how about number 2? My favorite holiday treat is Salted Caramel Butter Bars. I found the recipe on Pinterest last year and everybody agreed that it's our new favorite! My sister makes chex mix every year and it is so much better than the store bought stuff! homemade peppermint white chocolate pretzels! Thank you fort the giveaway! Lebkuchen, traditional German christmas cookies. Thanks! Making homemade turtles( pecan & rolo topped on a square pretzel) with the kids watching the grinch! I love gingerbread! thank you! How fun! There are lots of treats I like at Christmas! But maybe my mom's fudge is my favorite. Yum! Thanks for the chance to win! My favorite treat are a German spice cookie. pfeffernut cookies are my favorite! oatmeal carmelitas. my friend's grandma makes and sends them only every so often. i've had a piece of hers on 2 separate occasions in the past ten years. thankfully, i have the recipe, but her's are the ultimate! I always make shortbread for my Scottish father. So good! Ooh...I know this sounds funny, but I love date bars! Christmas is the only time of year that I make them, and they are so buttery sweet....yum! I love Magic Cookie Bars! It's really odd but I love my mom's fruit cake! I already 'liked' you on FB. mmmm mince pies, totally lusting over this pattern for a while now! This is such a great giveaway! Thanks for the chance! dark choc peppermint bark. can't stop eating it. I love pumpkin pie and I start on November and keep eating some until January! Thanks for the giveaway! I love homemade truffles and pies! Oh man, there are too many favorite treats! But I love to make, and eat, coffee toffee! I love King Arthur Flour's recipe for Buttercrunch chocolate pecan candy. Oh, so easy and so delicious! My favorite is peppermint bark! I can't get enough of it. Lovely purses! I have not made a purse and I'd love to try. My favorite is Cracker Candy. My favourite holiday treat is Egg Nog and Royal Danske cookies (the ones that come in tins from everywhere). Sugar cookies!!! Thanks for the giveaway! Thanks so much for the chance! I love peanut butter cookies with hershey's kisses in the middle - so good! I love sugar cookies. Thanks for the pattern giveaway! My favorite holiday treat is definitely gingerbread cookies! Favorite treat is sugar cookies, because the kids help decorate them and they make some pretty designs :)!!!! Any type of cookies ♥ Best wishes from Argentina! That is a very hard question... I love it all. But I do REALLY love homemade chocolates - peanut butter balls, truffles, turtles, etc. THanks for the giveaway! I love all the christmas cookies! Pastries! Almost anything will do. Vanillakipferl cookies! These handbags are fantastic, thanks for the chance! I'm a lbg fan on facebook! Homemade Bits and Bites are the new staple Christmas treat in our house. Christmas cake and this year my 9 year old daughter has made it so can't wait to taste it. My favorite holiday treat is making (and eating) Raspberry Shortcake Bars. My son loves them and I get great pleasure from seeing him enjoy them! I like LBG studio on facebook! Fruit mince pies and English toffees! Hot chocolate with extra marshmallows! Spiced pecans! I only make them at Christmas time and they are soooo good! I love Peppermint bark! I made some yesterday! Definitely a pistachio cranberry bark! Oh that's so difficult to choose! But I really love homemade pecan pie. Anything flavored w/pepermint especially mochas and hot chocolate. Thanks for the opportunity! Very cute pattern. My fave is sugar cookie cut outs.Yum! Home made cinnamon rolls for Christmas morning. Cardamom/ginger butter cookies that mom makes! I like fruit salad because of it sweet, sour and a little bit spicy sauce, added with tropical fruits. I came from Indonesia :). Ooh and for the treat, I like cheese cookies. Yum! my email is chandramalini81(at)gmail(dot)com. Love ginger snap cookies with some hot tea :) Thanks for the chance to win! I love the ribbon candy that comes out for the holidays. It reminds me of treats I got in my stocking as a child. Sugar cookies with sugar sprinkles! My mom's gevulde speculaas! mmm best ever. Peppermint ice cream, the kind thats only in the stores around the holidays! 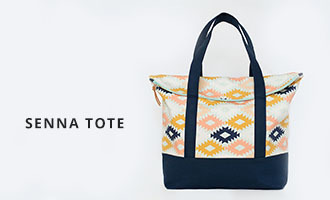 I would love to win this to make a camer bag! My favorite treat would be my grandma's chex mix recipe, you cannot stop eating it once you start! Divinity and sugar cookies. Thanks for the giveaway. I love Mama Grayce's Originals...great grandmother's recipe. They are tiny puff pastry tarts filled with a brown sugar and coconut mix. Then they are glazed with either orange or lemon glaze. My Mum makes a really delicious pistachio biscotti for Christmas & I could eat more than is probably healthy! Good thing she doesn't make tem year round. Thanks for the chance to win, I really love your patterns. Cute patterns. It's got to be toffee! Love, love love it! These are so cute. My sister would love a bag like this. My favorite holiday treat is homemade egg nog. It is too good! Soy nog. I also love Mexican Wedding Cookies, the ones covered in powdered sugar. We make them for the holidays. Very cute pattern. Thank you! Fave of ever ever is my Gran's plum pudding, passed down from her Gran and her Gran to her. Alas, my Gran has passed it down to me but I am not yet a Gran. My Late Grandmothers Secret Frozen Christmas Pudding recipe. It is a secret family recipe and family can only have the recipe if they can be trusted to only ever make it for Christmas, not Christmas in July, not because your having a fancy dinner party, not because your craving it in March and have long since run out. Once a year only. It tastes like Christmas, memories and love. It is heavenly. for me its more of a seasonal treat: apple cider! I love chocolate cookies . Thanks! have the fold over cluth, but have had my eyes on the leather one FOR AGES! Puerto-Rican food! Great giveaway, thanks for the chance! I really love gingerbread cookies. Thanks for the giveaway. Very nice patterns, love chocolate truffles! Thanks! Shortbread cookies, are my favourite. I looooooove eggnog. The good stuff from a local dairy. Love these patterns! My fav holiday treat is a simple butter cookie with a candy cane hershey kiss in the middle. I love eggnog! What great patterns- thanks for the chance! Cakey sugar cookies. Not the crumbly ones, the thick cakey ones. Yum! I love old fashioned chocolate fudge made with cocoa not the kind with marshmallow creme and chocolate chips. peanut butter ritz sandwiches covered in choocolate almond bark. yum! I love a glass of eggnog after dinner.